Nitrogen is a nutrient that plants need to grow. 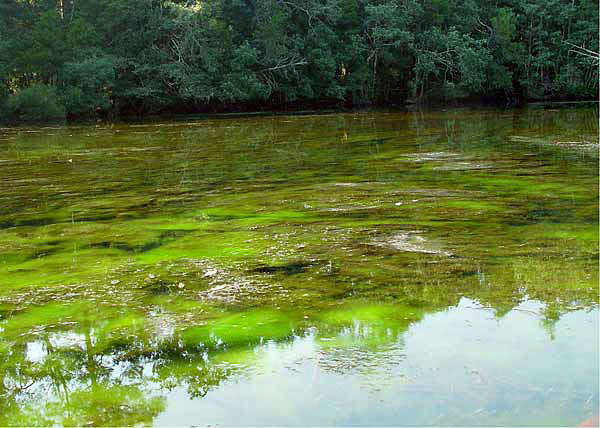 While helpful in small amounts, too much nitrogen can cause explosive growths of algae that depletes the water of oxygen when the algae die and are eaten by bacteria. 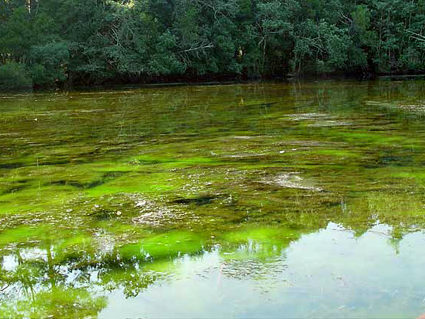 This condition is called nutrient pollution. Across the nation, shallow water habitats are increasingly under threat from too many nutrients introduced into our waterways through activities ranging from sewage runoff to over-fertilization of lawns. Recently, scientists sponsored by NOAA's Ecological Effects of Sea Level Rise Program, part of the National Centers for Coastal Ocean Science, found that habitats in North Carolina such as submerged aquatic plants and oyster reefs provide about $3,000 per acre per year in nitrogen removal services, while wetlands provide about $2,500 per acre year. Putting a dollar value to the helpful role these types of ecosystems provide in removing excess nutrients from our waterways will help decision makers better protect our shallow water habitats.